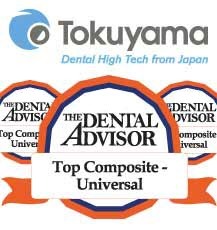 'Top Universal Composite' in Dental Advisor for 10 years in a row! A highly aesthetic composite with a long working time & just a 10 second cure. Estelite is made with synthetic, spherical, sub micron fillers and this pearl-like structure makes it easy to create beautiful restorations which blend perfectly to the surrounding tooth structure. RAP curing technology gives an extended working time making it easy to use and a very short polymerisation time means curing is short too. Due to the smooth surface of Estelite, less polishing is required to give a super glossy and long lasting lustre. Chameleon Effect: Flawlessly blends with tooth structure. 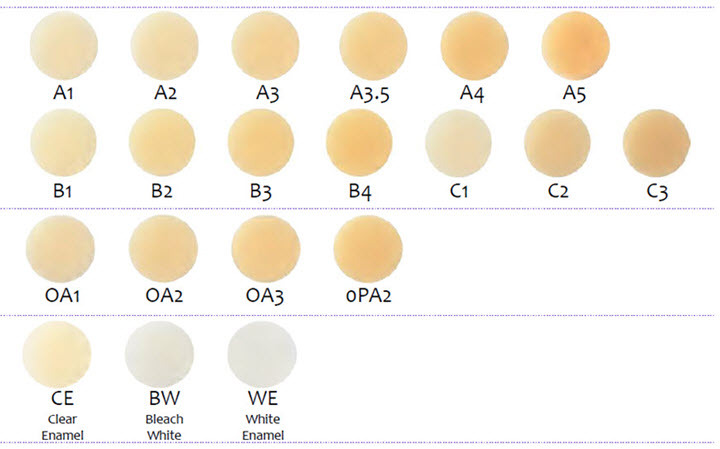 Quick: Using only one shade (A3) to replace 8 shades. RAP Technology: Due to patented technology, the working time is extended, yet curing time is only 10 seconds. In conventional light curing, Camphorquinone (CQ) catalyst generates one energised Monomer each reactive cycle. 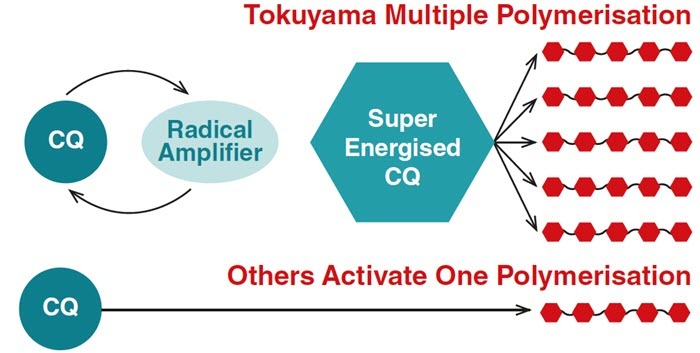 Tokuyama’s innovative initiator system energizes multiple Monomer molecules each cycle, so less CQ are required and it polymerises in just one third of the time. Breakthrough 2 - Made With Spherical Pearls, Giving High Strength & Chameleon Effect Aesthetics! 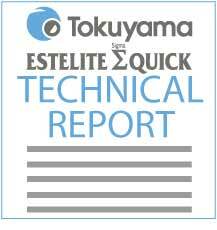 Tokuyama Research and Development have created a method of growing tiny spherical “pearls” that bring major benefits to filler technology improving aesthetics, handling and strength. These pearls create a chameleon effect to enhance aesthetics, handling and working time. Buy - PLT Or Syringe & In 20 Different Shades! Top Universal Composite, 10 years in a row!